By "nationwide," Sidecar likely means the small number of cities in which it currently operates. Besides the San Francisco Bay Area, that includes Los Angeles, San Diego, Seattle, Chicago, Boston and a handful of others. Lyft operates in more than 50 cities across the U.S., while Uber operates in around 280 cities in more than 50 countries. The move might also signal a shift from on-demand rides. Same-day delivery will represent half of Sidecar's business by the end of this year, the company said in a blog post. 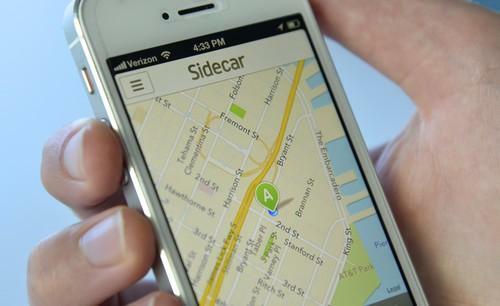 Roughly 10 percent of Sidecar's ride volume in San Francisco already comes from same-day deliveries, Sidecar says. "Our vision is that one day any business will be able to take an order and get it to the customer in an hour, and Sidecar will be the service that powers this capability," the company said in its announcement. Sidecar provides a software toolkit or API for outside companies who want to partner with it for deliveries. Sidecar's delivery service is 80 percent cheaper than traditional shipping services and cuts the delivery time in half, Sidecar claims, all the while letting Sidecar drivers earn more by delivering both people and items.